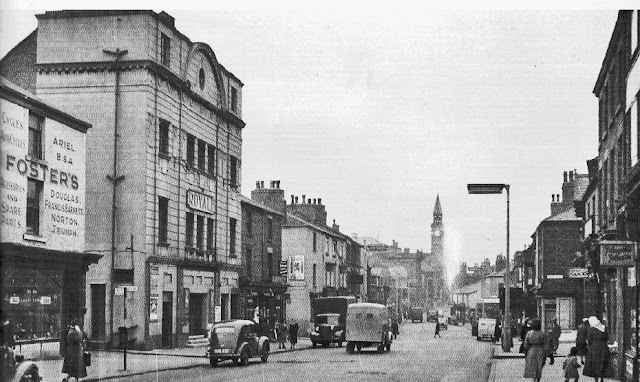 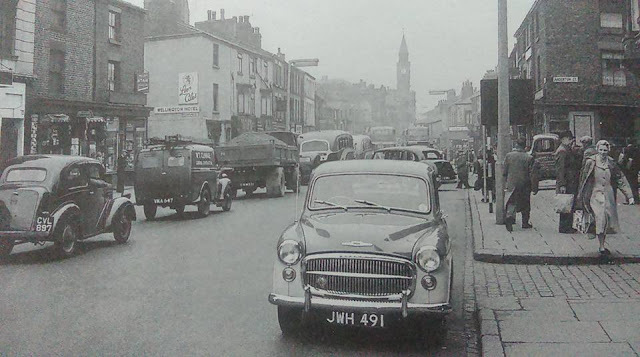 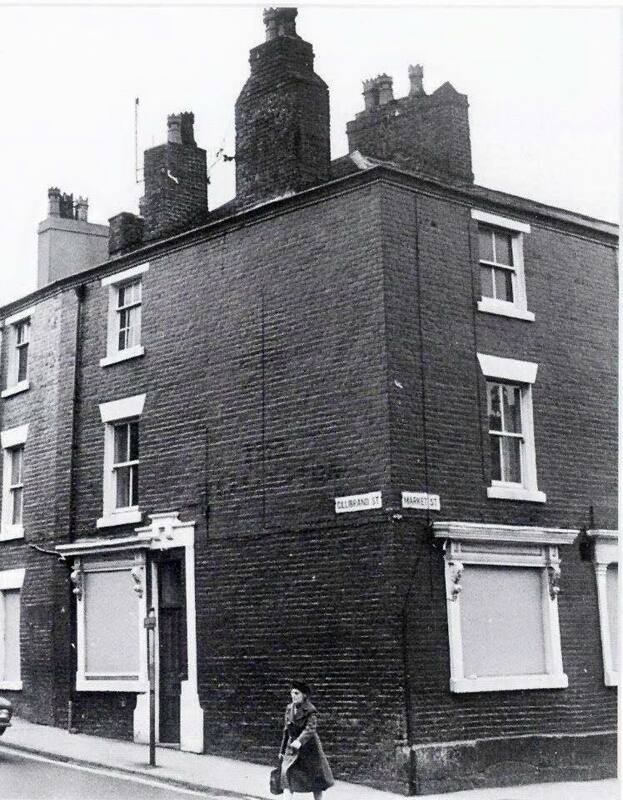 The Wellington Inn, or Duke of Wellington to it its full name was a beer house located on the corner of Gillibrand Street at its junction with Market Street. 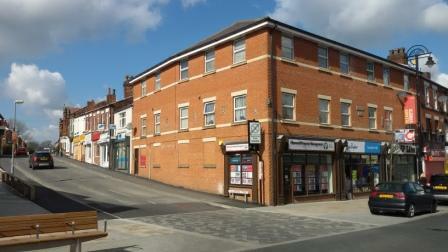 Listed landlords were John Derbyshire (1851-61), Robert Clayton (1871), James Leaver (1881) and Edward Alston (1891-1928). 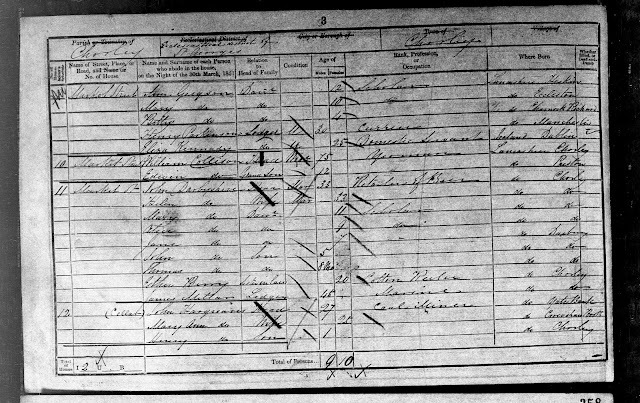 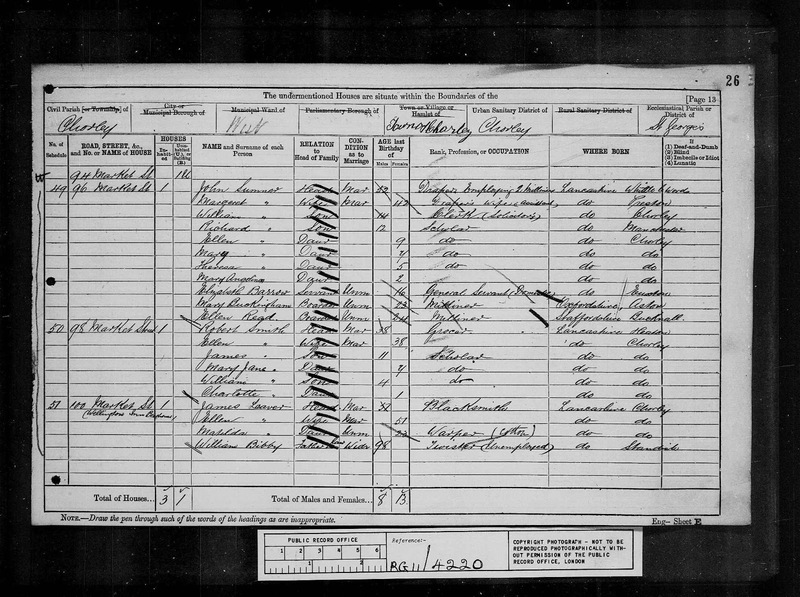 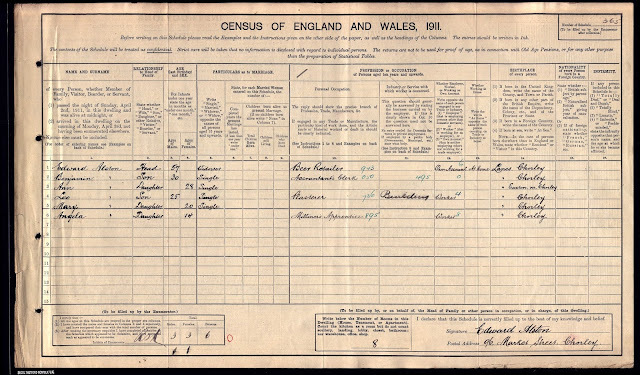 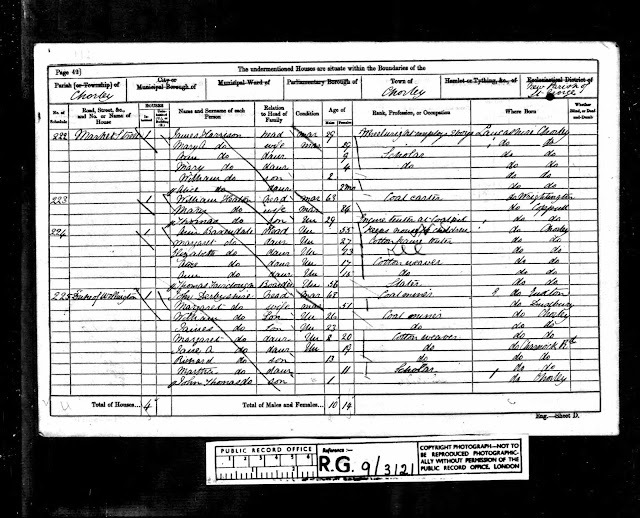 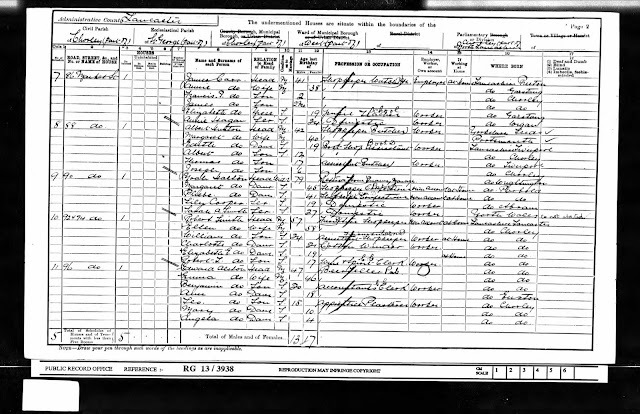 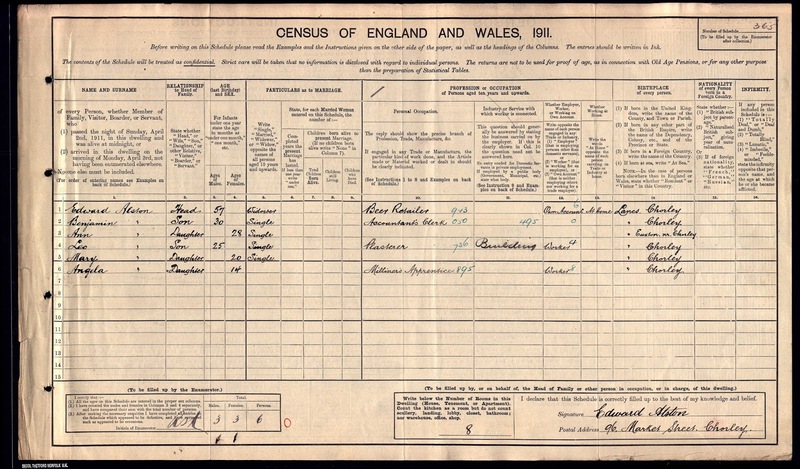 In 1851 the census record below show John Derbyshire as a "Retailer of Beer Duke of Wellington" whereas in 1861 he was shown as a "Coal Miner Duke of Wellington". 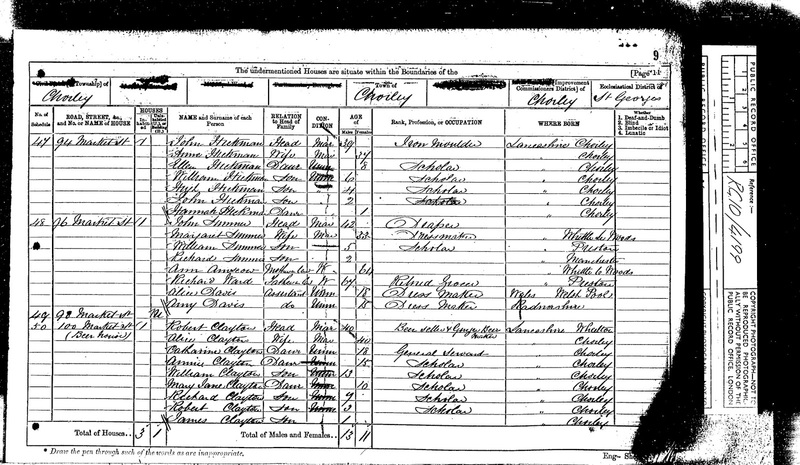 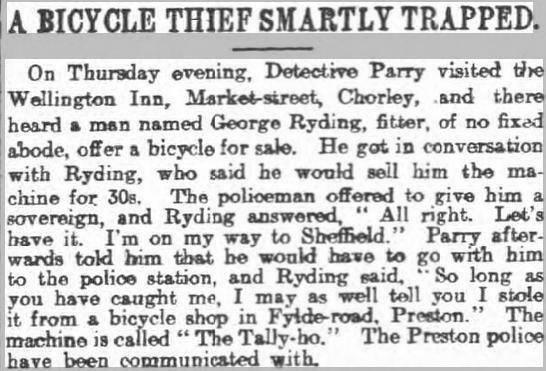 Robert Clayton on the other hand had diversified by the time he was the landlord in 1871, shown as a "Beer Seller and Ginger Ale maker (Beer House)". 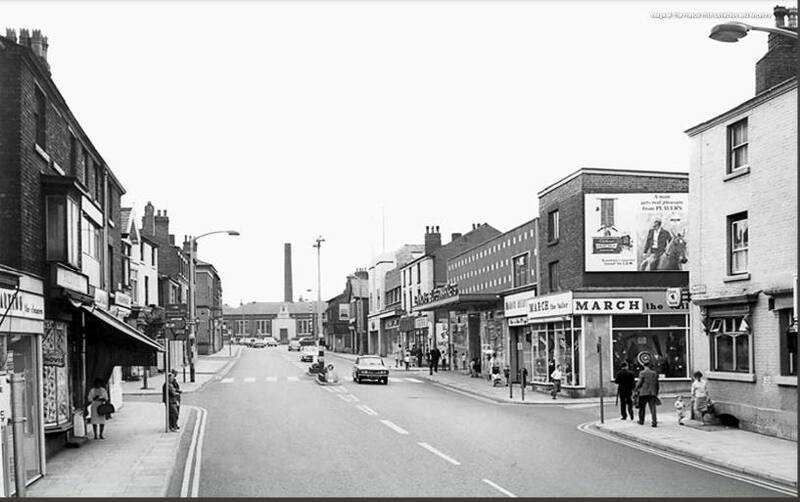 Miriam's son was John William TOWERS aka ALSTON b.1891 who was a driver in the Army Service Corps 1st Coy., 37th Div. 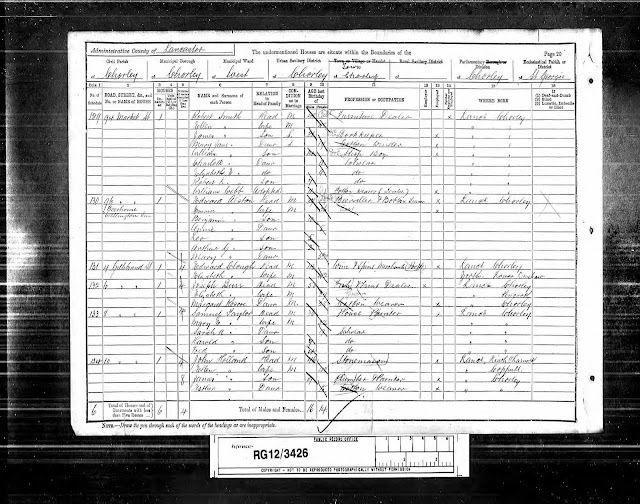 Train and died in WW1 on 03/12/1918. 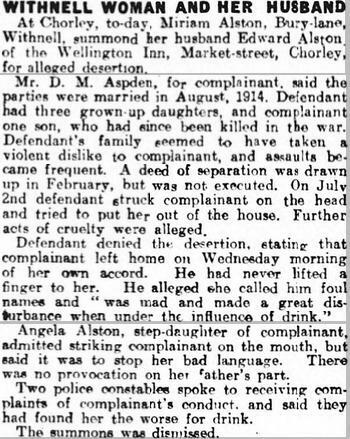 He is commemorated on the Chorley War Memorial.